Satisfaction Services, Inc., The Mystery Shopping Company was founded in 1988 and offers secret shopper services in all areas of South Carolina, all states of the US and International Customer Service Evaluations, Shopper Services and Customer Experience Management Programs. We provide mystery shopping services, quality service evaluation programs to some of the top retail, restaurant and hospitality companies in South Carolina. 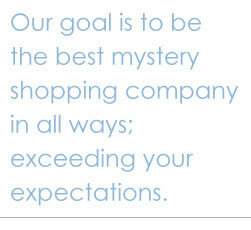 We have been mystery shopping with secret shoppers in South Carolina Since 1988.